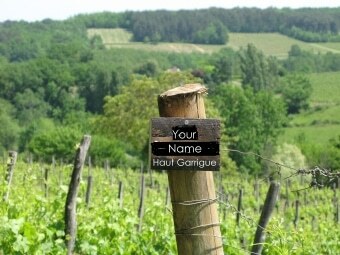 Have you ever dreamed of owning your own vineyard? Scroll down details of the vine share options or buy now. 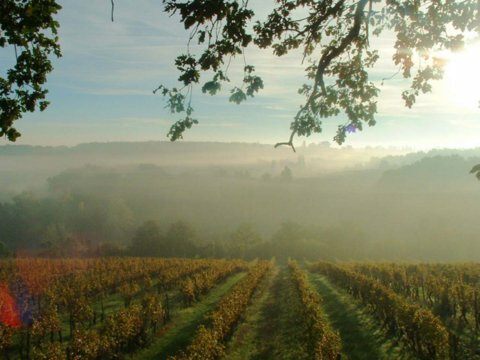 Chateau Feely ‘Vine Share’ includes the rent of a set of vines in an organic vineyard in South West France, your name on your vines and a wine share. Chateau Feely vine share is the perfect gift a winelover. 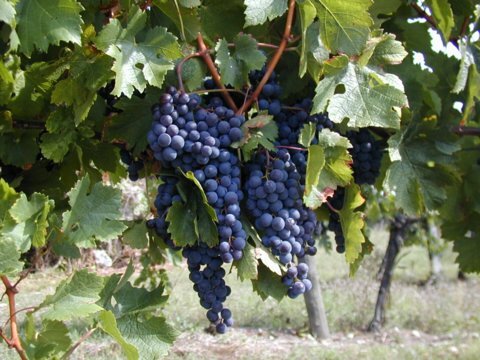 Participate in grape picking (and stomping! ), harvest celebrations & more. 2. Your gift message (including who it is from if more than yourself). Share certificates and photos of the named row will be emailed within 3 working days. If your share is more urgent let us know. The share runs from the purchase date for a full year. 7. A six-pack of wine (6 bottles of different vintages of our red merlot Resonance) shipped to your door in most countries in the EU including UK. Points 1 – 6 noted for the voyager share. + A case of 12 Resonance wines to be collected at the Chateau within your year of membership (can shipped to UK/EU/France at extra cost). Your wine must be collected or shipped within your year of membership or it expires. Why are there different options ? There are share options for collecting from the property (the ‘classic’) but we found many of our shareholders flew since fly-drive was less time consuming and often cheaper than ferry-drive so we created the ‘delivered’ half-case Voyager option for European shareholders (although if you are driving and stocking up on wine the tax savings can pay for your trip). How do I add shipping to the classic wine share? Shipping doesn’t come automatically with the ‘classic’ share as many people collect or wait to see if they are able to collect then organise shipping later if necessary. If you want to ship please email us. When are the events ? We run two events for shareholders. Shareholders can visit us and their row at any time (with a few days notice to make sure one of us is available). You are welcome to stay on in the area and organize activities like a wine class or visit to St Emilion with Caro to complement the day (see details of Caro’s tours and classes at www.frenchwineadventures.com ). 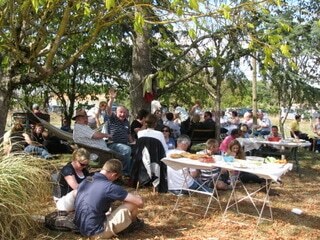 Our Harvest weekend is the first weekend of October. Harvest Day is on the Saturday. How much does the Harvest weekend cost ? The harvest day is free for shareholders. The dinner is €60 per person. We also offer optional extras like a walk in the vineyard with gourmet lunch on the Sunday and a visit to St Emilion grand crus on the Monday with lunch in St Emilion village so those who can stay and are interested in Bordeaux wines can make the most of the trip. Email caro@feelywines.com for details. There is great B&B accommodation in walking distance and a little further from around €90 per night for 2 sharing. www.laqueyssie.com a super place an easy walk from us. We have options on five gites easy walking distance from us for the weekend (sleeping 2 to 10 people). If you are interested in booking into one of these and happy to share a house with others that are booking for our harvest weekend please let us know. Email caro@feelywines.com for details. What is the deadline for collecting our wine ? Within the year of your vineshare. We cannot hold stock beyond this period for space and admin/ accounting reasons. Do we get the wine that we have picked ? Can I give the share to a couple ? Absolutely – our shares can be for a couple. In fact many are given as wedding gifts. If it’s for a single person they can attend events with their partner as our invitations are for the shareholder and partner. How far is Cherbourg or Le-havre from Saussignac ? **Remember to book dinner with your accommodation for Friday and Sunday night unless you have other plans made (chambre d’hotes – B&Bs – in France need at least 24 hours notice to provide dinner).